From high in the sky, the Maine landscape looks like “a land of lakes, all within a stone’s throw of each other,” wrote Catherine Winne ’41 in the Oct. 30, 1940, issue of The Bates Student following one of her pilot training flights. Winne got the opportunity to fly through the federal Civilian Pilot Training Program. 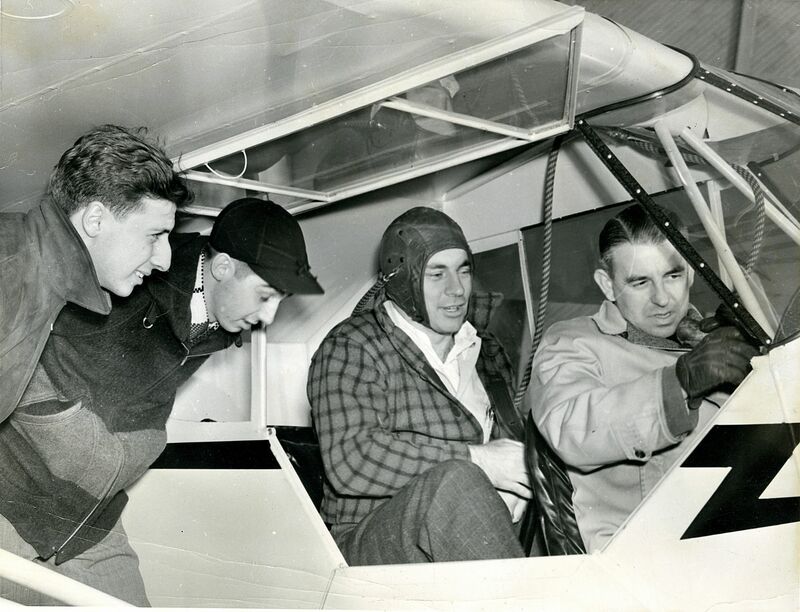 Created by the Civil Aeronautics Administration in 1938 to increase the number of civilian U.S. pilots, the CPTP gave flight training to hundreds of thousands of men and women, mostly college students. The program is specifically credited with creating a path for African Americans to eventually become military pilots, notably the Tuskegee Airmen. In Maine, Bates, Bowdoin, Colby, and UMaine offered chapters, as did several high schools and American Legion chapters. The Bates chapter was started in October 1939. Initially, women were given 10 percent of the slots, which meant two spots among 20 at Bates. With the start of World War II, women were excluded. The Bates fliers flew the famous Piper J-C Cub and a pre-war Aeronca model. Though the record is unclear as to whether Winne, who died in 2007, ultimately earned a license, she was certainly an active part of the program. A fine athlete who coached tennis for the Woman’s Athletic Association in her senior year, Winne was among at least two other female Bates trainees. 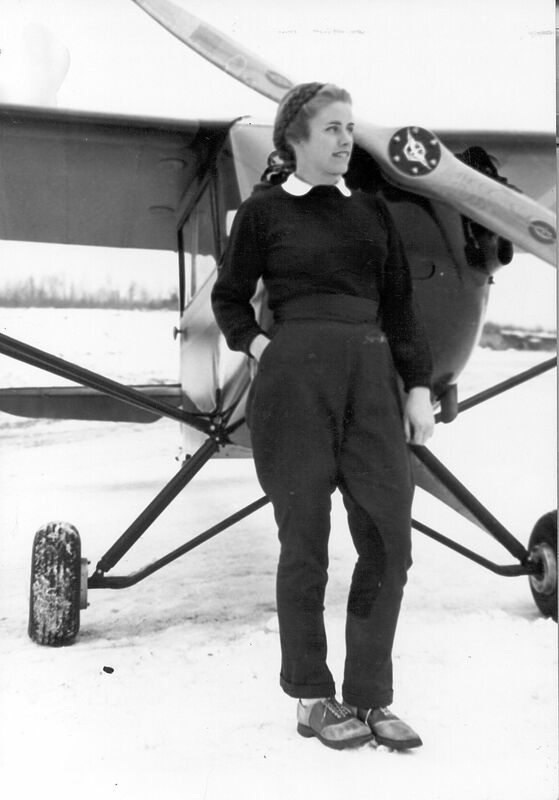 Another was the late Pauline Giles ’41, who attended classroom sessions but may not have flown. The third was graduate Doris Howes Parmenter ’37, who worked at Bates after graduation. Indeed, the Bates Magazine obituary for Parmenter suggests that she had the distinction of being the “first Bates woman to solo” with the CPTP. The CPTP’s military importance was readily known, especially after Germany invaded Poland and France. “We knew it was a pre-screening thing for military pilots,” said retired Marine Col. Armand Daddazio ’42 in 2010. A CPTP trainee as a Bates student, Daddazio saw active duty in air defense artillery in the Pacific during World War II. He was on Tinian when the USS Indianapolis delivered the atomic bomb destined for Hiroshima.